Normally the sound of a police siren spells bad news, but it signalled something completely different for those gathered at the Flemington Community Centre park for “Family Day”. 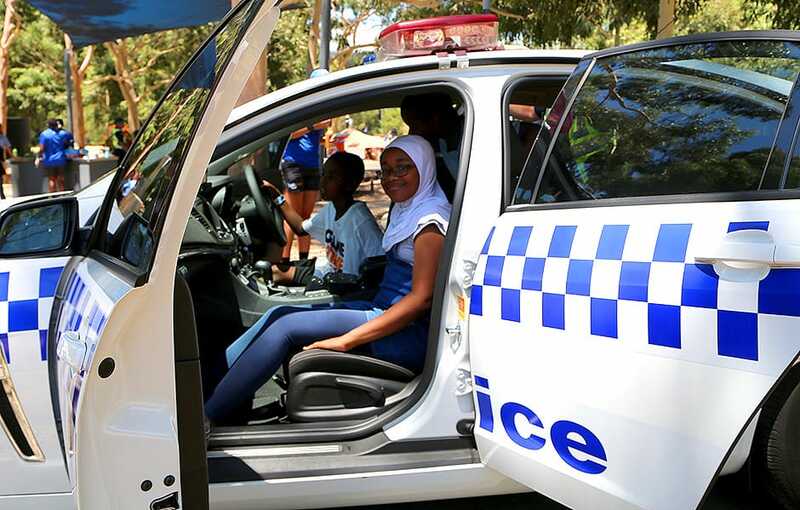 Thursday marked the final event of The Huddle’s Summer school holiday program, and Victoria Police brought a squad car, with local kids given permission to jump in and play with the lights and sirens. “I either want to be a builder or a policeman,” one said. “I would definitely be a police girl when I grow up,” said another. Though the constant high-pitched wailing became a bit of a headache, the benefits far outweighed the negatives. “It’s great coming out to days like this,” an officer told North Media. There were dozens of kids, parents, teachers, police, fire fighters, volunteers, and Huddle staff all talking and playing while the barbeques sizzled with sausages on offer. One woman watched from a distance with a glowing smile. She didn’t have a child, or any family at the event but simply wanted to be a part of what The Huddle provides. “I came here from Ethiopia more than twenty years ago,” she said. Her words summed up why the The Huddle exists; to bring people together and create a sense of belonging.